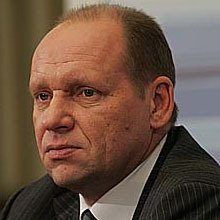 First Deputy Chief of the Presidential Administration of the Russian Federation. Born May 31, 1960 in Zagorsk, Moscow Region. Graduated from the Lomonosov Moscow State University. Appointed as the First Deputy Chief of the Presidential Administration of the Russian Federation by the Russian Federation President's Decree of May 21, 2012.